Nice Clean 1999 21' Proline 201 Walk Around Cabin w/ 1999 150HP Oil Injected Outboard, 2009 SeaLion 4 Wheel, 32 Roller Trailer w/ Disc Brakes and Full Spare Tire. New Cockpit Encloseure. 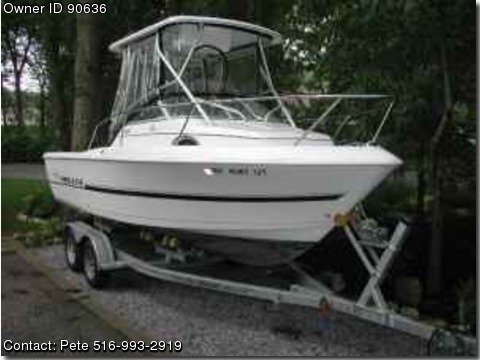 75 Gallon Fuel Tank, Live Well, Fish Box, Salt Water Washdown, Dual Batteries, Hardtop w/ Rocket Launchers and Halogen Lights,VHF Radio, Garmin GPS Map 440 and Garmin Fishfinder.